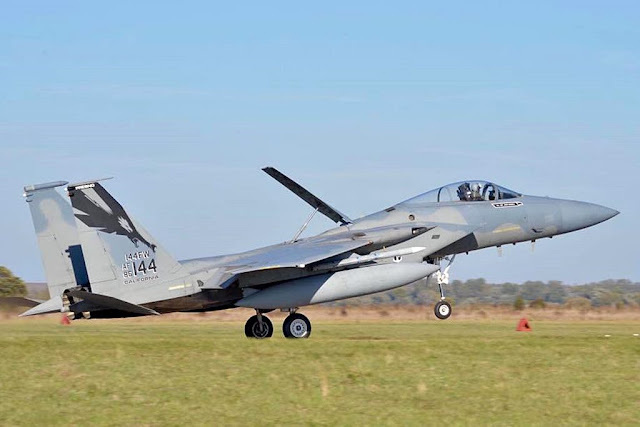 U.S. Air Force F-15 fighters arrive in Ukraine for Clear Sky exercise. 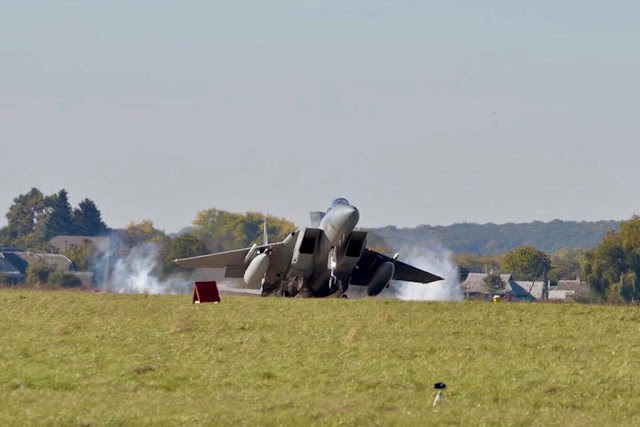 October 06, 2018 - F-15C Eagles from the 144th Fighter Wing, Fresno Air National Guard Base, Calif., have arrived at Starokostiantyniv Air Base, Ukraine, to participate in Clear Sky 2018, a joint and multinational exercise that will involve personnel from nine nations, including Belgium, Denmark, Estonia, the Netherlands, Poland, Romania, Ukraine, the United Kingdom, and the United States. 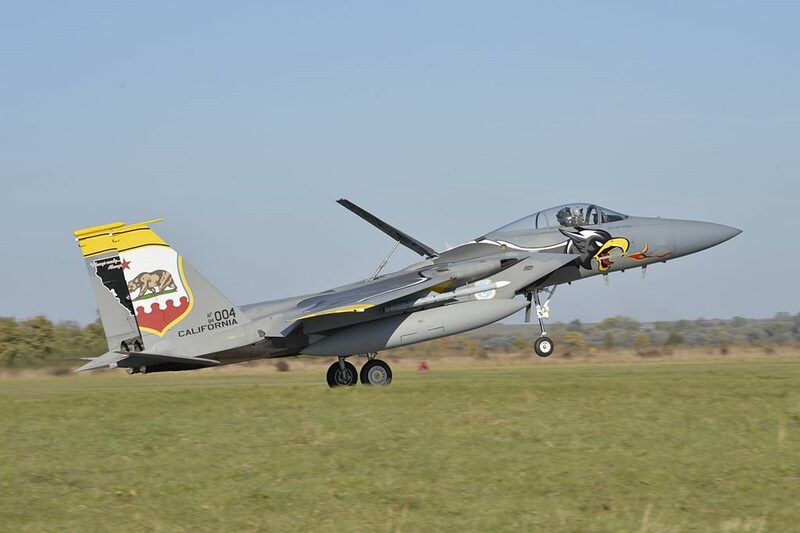 This year marks the 25th anniversary of collaboration between the California Air National Guard and Ukraine as part of U.S. European Command's State Partnership Program, and the exercise will include robust participation of California ANG units. The spotters will be happy to know that the 144th FW has also deployed in Ukraine the F-15 special color revealed on the occasion of the 75th anniversary of the wing's 194th Fighter squadron.